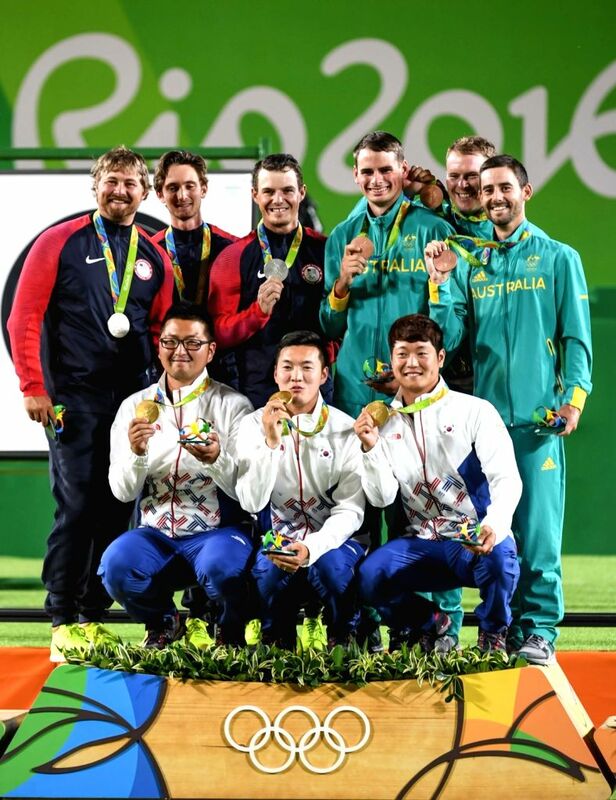 RIO DE JANEIRO, Aug. 6, 2016 - Archers of South Korea (front), United States (from 1st L to 3rd L, behind) and Australia (from 1st R to 3rd R, behind) pose for photos during the awarding ceremony for the men's team final of archery at the 2016 Rio Olympic Games, in Rio de Janeiro, Brazil, Aug. 6, 2016. South Korea won the gold medal, United States and Australia won the silver and bronze medals respectively. Jul 31, 2016PM Modi flags off "Run for Rio"